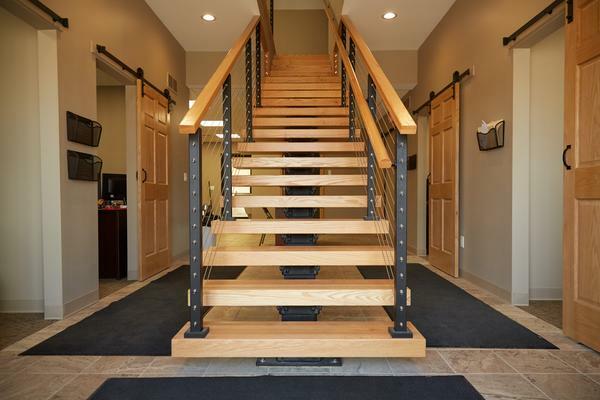 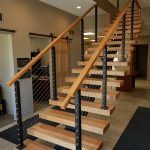 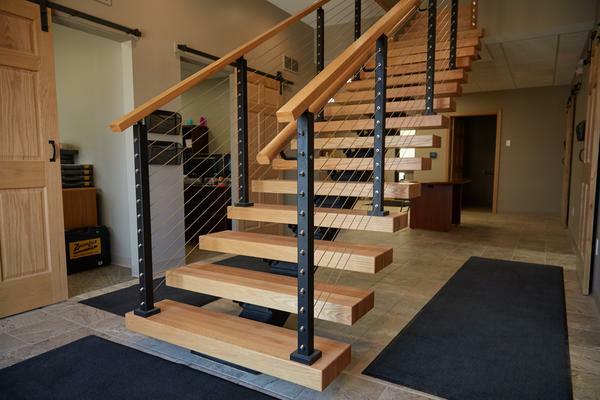 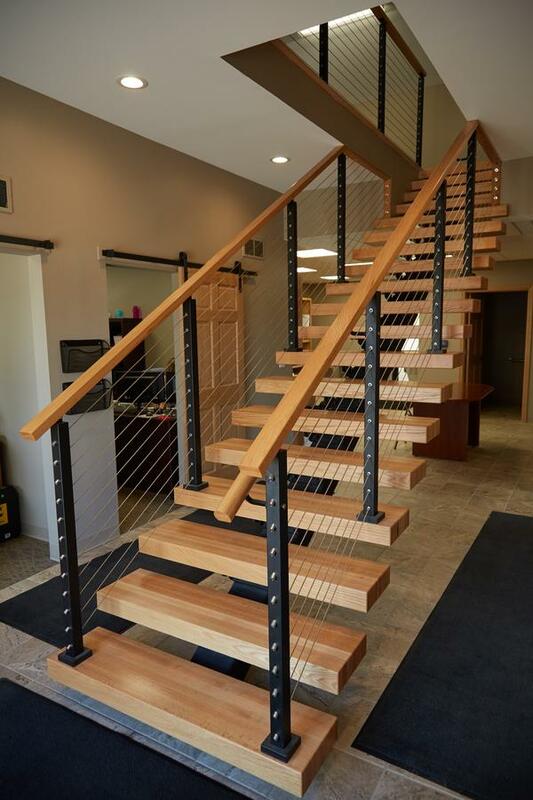 This office in Petoskey, Michigan needed a staircase that could fit into a small space without sacrificing safety or style. 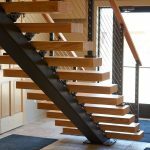 However, traditional staircases often make small spaces feel crowded and boxy. 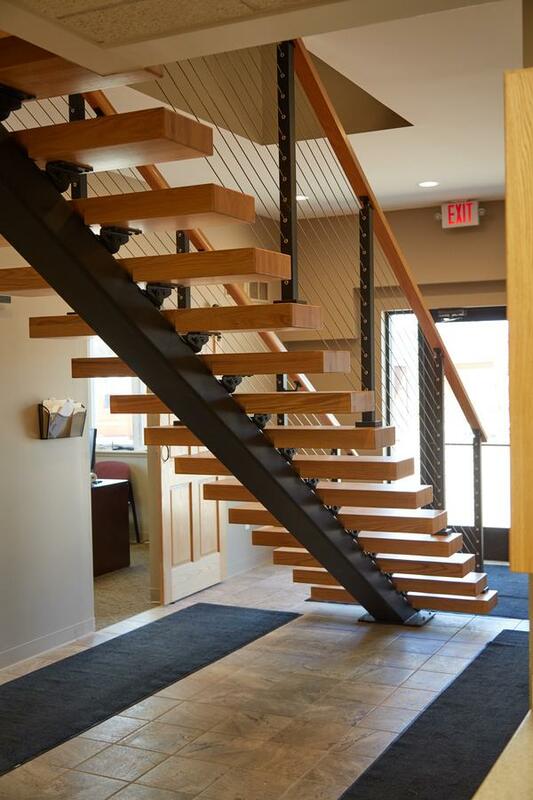 Our FLIGHT floating staircase was the perfect solution, creating an area that is open, airy, and beautiful. 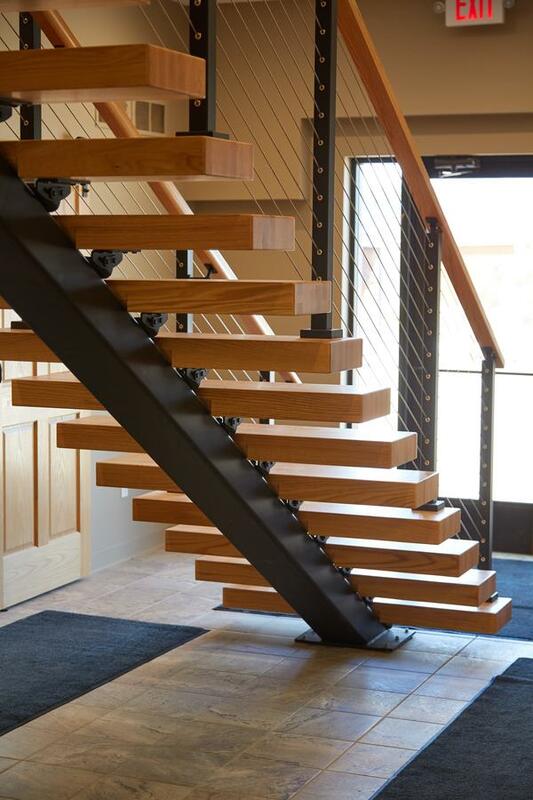 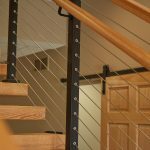 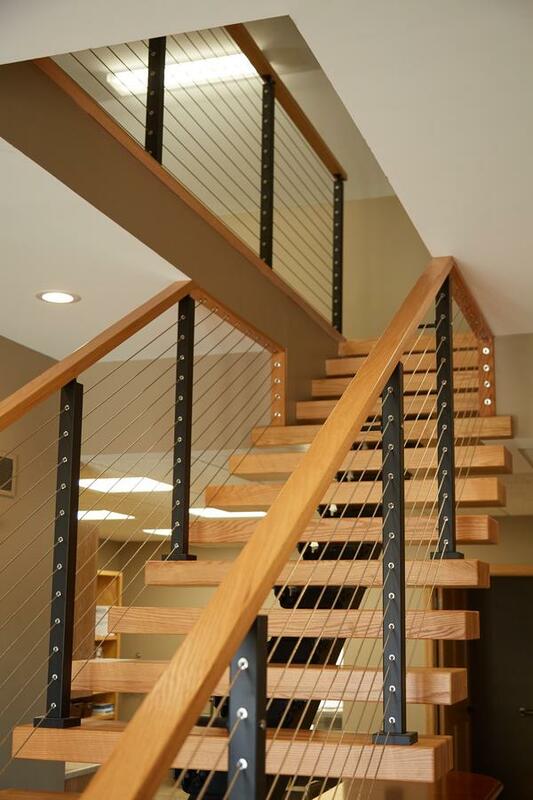 Red oak treads, handrail, and black aluminum posts blend cohesively with the sliding barn doors and iron fixtures. 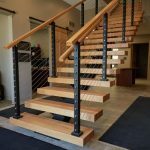 The graspable red oak handrail blends so seamlessly with the rest of the design that you almost miss it. 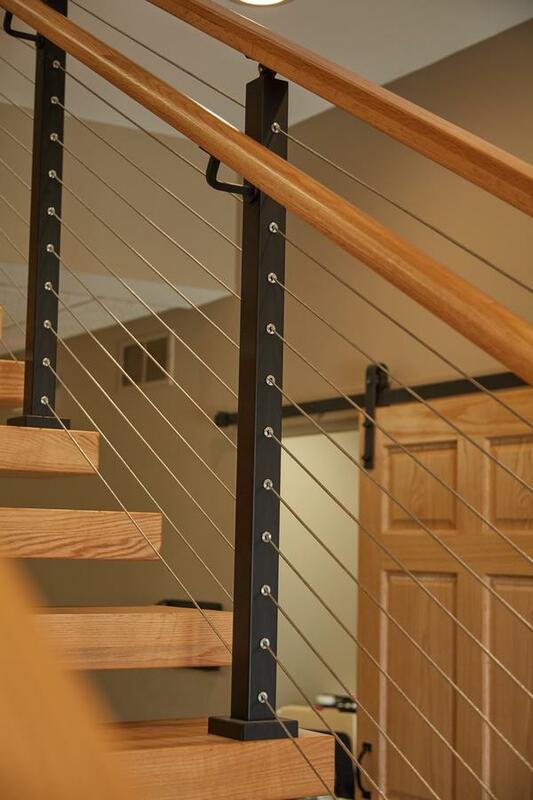 Tried-and-true cable railing effortlessly ties the whole project together. 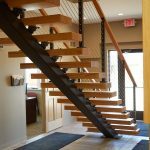 The result is an elegant, unique floating staircase that perfectly matches this rustic-modern interior. 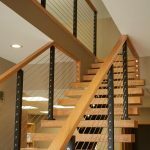 Who says safety can’t be chic?